The need to access the services of a pharmacist doesn’t stop at the weekend. So naturally, most pharmacies open six days a week with some opening on Sundays too. How does working at the weekend benefit you as a Locum? Here is our guide to weekend work. How does working weekend shifts differ from weekday shifts? Weekdays tend to be busier in traditional community pharmacies such as the high street chains. However, supermarket pharmacies plus bigger chain stores usually have a similar workload all week long with only Sunday seeing a lull. As a result, weekends often have less experienced support staff on duty. This means more responsibility will fall on the pharmacist working that shift. And this may also mean they will need to pick up more menial tasks too such as the stock counts that dispensary staff may normally perform. What shifts are available at weekends? With traditional pharmacies typically closing on Saturday afternoons, half-day shifts are available at weekends. These come in the form of 4, 5 or 6-hour sessions. If the pharmacy opens on Sundays, 6-hour shifts are common to be inline with Sunday trading laws. However, some 100-hour pharmacies - such as those found in the supermarkets - will open for longer on Sundays and you could secure a lucrative 12-hour shift. What are typical weekend rates? Weekend rates are normally higher when compared to weekday rates in the same pharmacy. However, the difference in these rates depends on the pharmacy business and where it is located in the country. How do I find weekend shifts? 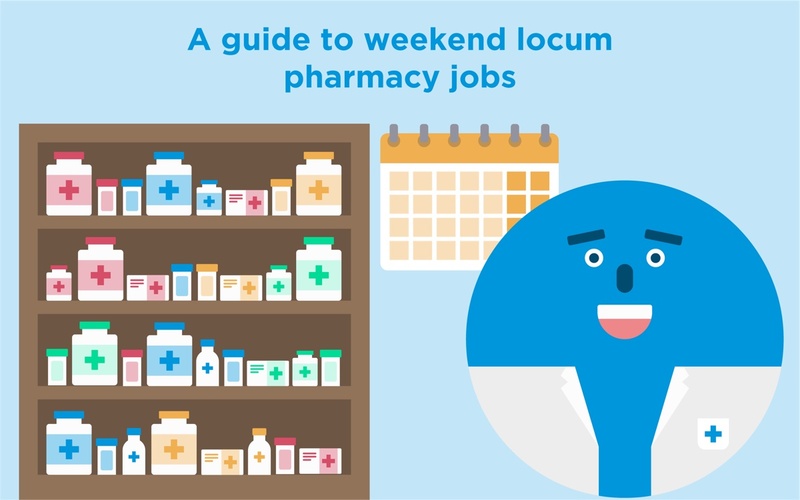 Locate a Locum provides weekend shifts. In the search criteria, you can select ‘Weekends Only’, ‘Saturdays’ or ‘Sundays’ in the ‘Days Of Week’ field to find the right shift for you. What are the advantages of working at weekends? One of the benefits of being a locum is that you get to choose where and when you work. Demand for weekend shift work is high in some areas as pharmacies can struggle to fill their half-day shifts. Working at the weekend can significantly boost your income and your reputation as a hard-working professional. Choosing to work weekends can also give you greater flexibility in your home life by allowing you to take time off during the week instead. Interested in what weekend work might be available to you? You can search our available weekend shifts here.